The AvatarCoin, AV, cryptocoin was released on Dec 13th, 2015 and operates without a reserve bank or single administration. You cannot mine the crypto coin, and as such, you can obtain AV coins with an exchange service. The coin uses the proof of stake (pos) consensus, along with the Proof of Stake (PoS) algorithm. We don't have any exchanges listed for AvatarCoin yet, check back soon! 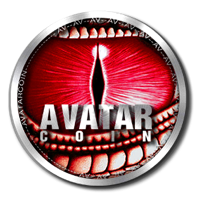 We don't have any wallets listed for AvatarCoin yet, check back soon! We don't have any debit cards listed for AvatarCoin (AV) yet, check back soon!